Whether it concerns an office, shopping centre, hotel, cinema, hospital, industrial or residential property, we have an expert who can help with your investment needs, whatever stage you’re at. Our expertise is further reinforced by a market-leading research team that draws from data and trends to support all projects and decisions across residential and commercial property. Combined with our market intelligence we have the capability to provide detailed due diligence for sales and acquisitions, including the provision of valuation advice. Our 34 experts advise owners and buyers on their commercial property options within central London. Based in the West End and City of London, our teams are at the centre of the action, handling sales and acquisitions of commercial income-producing assets and redevelopment and refurbishment opportunities across central London. We advise investors on their real estate strategies globally across all sectors. 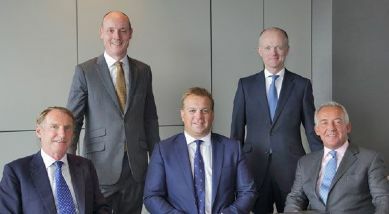 Our team has built up a century of combined investment expertise, becoming market leaders in advising clients across all sectors, including office, residential, retail, hotel, logistics, student housing, healthcare and other alternatives. Known for our specialist local, regional and national market knowledge of the sector, our team of industrial investment experts advises on all aspects of logistics and multi-let industrial investment, as well as the viability of development projects. Our clients include major UK funds and institutions, property companies, private equity, international investors, private investors and developers. We advise on investments in cinemas, health clubs, bowling alleys, nightclubs, casinos, hotels, bars, restaurants, trampoline parks and leisure complexes of all types, with additional complementary services including development funding, forward commitments and forward funding opportunities. We specialise in every element of buying and selling office space. 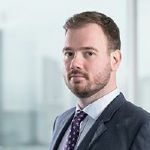 We advise our clients on all aspects of investment, having earned the trust of major UK funds and institutions, private equity firms, international investors and private investors. We also advise developers and investors on the viability of development projects. Our job is to provide strategic advice on selling commercial and mixed-use investment portfolios, and to undertake the portfolio sales on behalf of our clients, delivering maximum price with minimum deal risk. Our team of 35 capital markets professionals advise clients looking to invest in residential, student, multifamily and senior-living property. We have led the development of the latter sectors and are now the acknowledged experts in the field. We give investment disposal and acquisition advice in the specialist area of high street unit shops, parades and department stores. The team operates nationwide, drawing on local market knowledge to deliver retail expertise and insight in all major towns and cities across the UK. Our clients include UK institutions, property companies, opportunity funds and private investors. Our experts advise clients on all aspects of shopping centre investment, whether acquiring or disposing of schemes that range between super regionals and community shopping centres. Clients of any type can use our service, including institutions, REITs, sovereign wealth funds, property companies, opportunity funds and developers.